This is again a little bit of a break from politics, exploring instead poetry and philosophy, and weaving it all back into the fabric of current events. July turned out to be a tale of two towns, and their poets and philosophers. 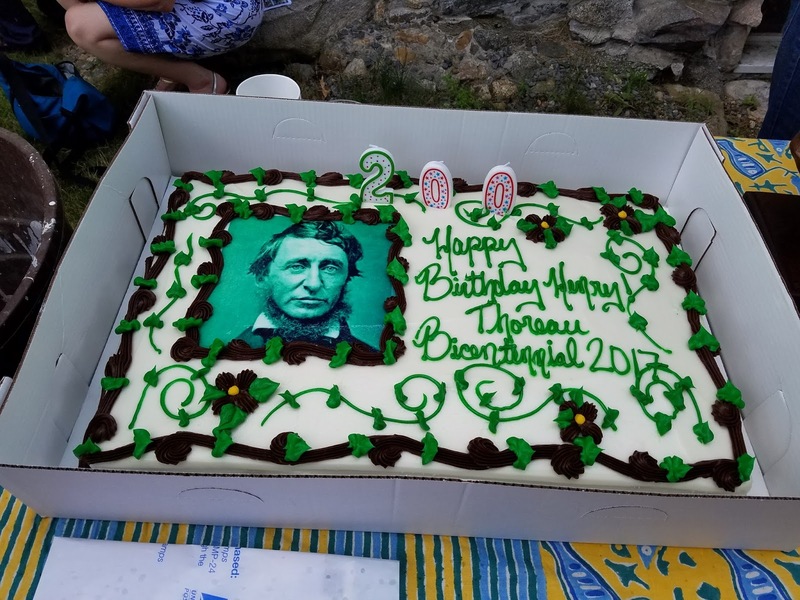 First, Concord celebrated the 200th birthday of Henry David Thoreau, with cake and speeches at his birthplace, Thoreau Farm, on July 12th, and many other events at various locations over the course of the month. 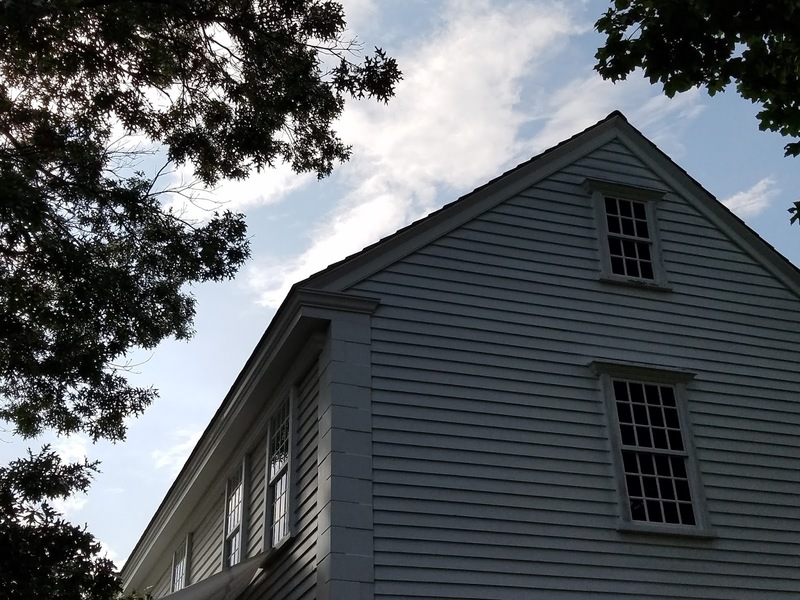 There were literally bus-loads of Thoreau-vians who converged on Concord in July. 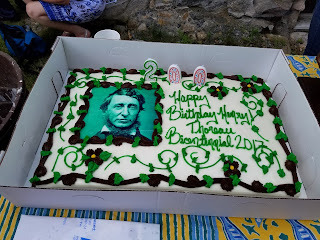 The only event I made it to was the birthday celebration at his birthplace, Thoreau Farm. (Did I mention there was going to be cake?) The US Postal Service also unveiled a commemorative stamp in his honor, and historian, Richard Smith, who portrays HDT at Walden Pond was also in attendance. Cake - need I say more? 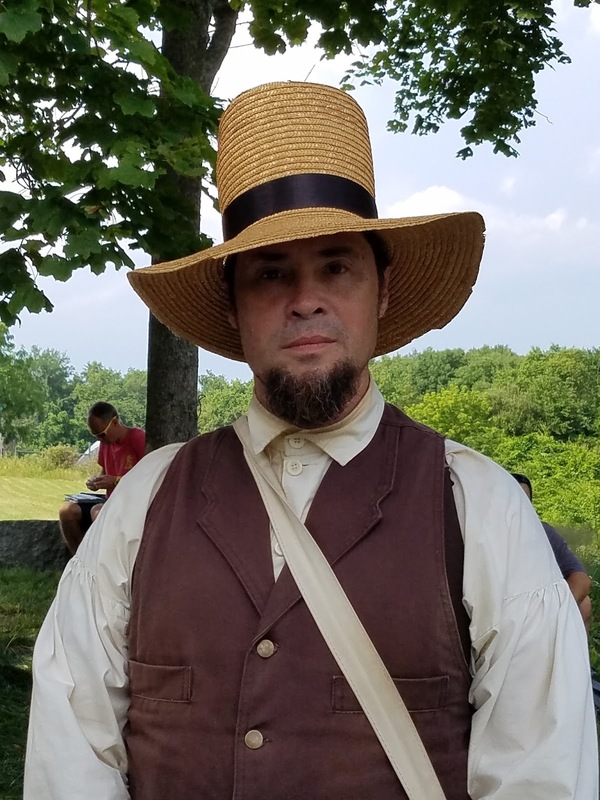 Historian Richard Smith, as Henry David Thoreau. The room where Henry David Thoreau was born. While attending, buying some stamps, and having cake, I figured it might not be the best time to confess that I have never actually read one of his books. I think I started Walden once, and never got past page three, because I felt like I was reading someone else’s shopping list, as he paid so much for so many pounds of nails, etc. If I had more patience, I would have learned about his relationship – reverence – for nature. He was probably our nation’s first environmentalist. His most famous works – Walden and Civil Disobedience – strike me as all the more relevant now, 200 years later. I will have to add them to my summer reading list. Some quotes from his essays on Civil Disobedience apply equally well to modern times. Here’s an example of one I grabbed off www.goodreads.com that spoke to me, but check it out for yourself. Yes, you can see that this led my thoughts back to President Trump, and his fixation with repealing the Affordable Care Act, building a border wall, suddenly trying to ban transgender people from serving in the military (via a tweet). His staff in the Department of Justice have filed a brief arguing that LGBT employees are not protected by the Civil Rights Act, reversing the Obama era decision that covered sexual orientation. “When they go marchin’ in those stupid parades, how come they don’t have sense to change their shoes?" Sometimes we need both bread & poetry! Here’s a really nice article by Anne O’Connor that gives the full back story on how this event came to be. If you build it, they will come, and come they did. 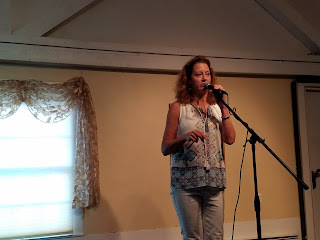 The show sold out, and 16 poets signed up to read their verse to a full house. But not to be slammed. 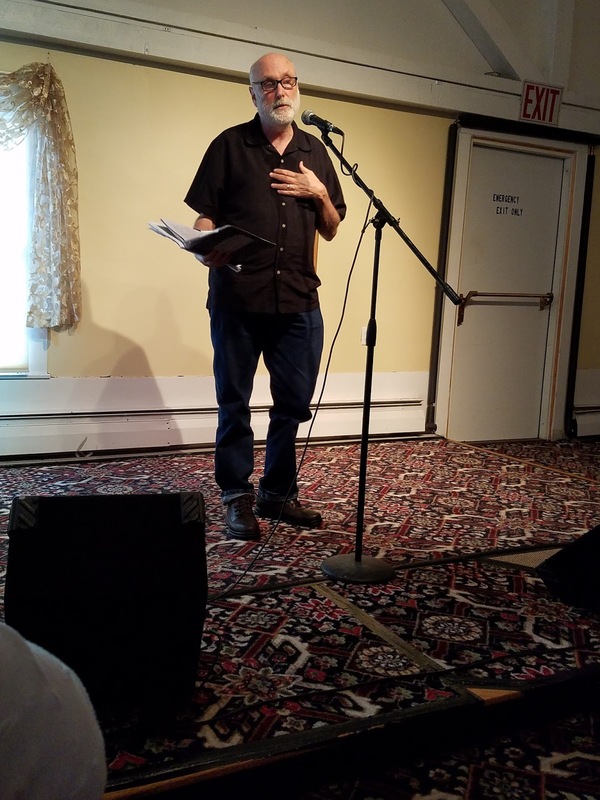 While there was a three-person panel of jurors, headed up by poet and Professor Doug Holder, scoring was done silently and the winners announced at the end of the night. It was a far more humane way to expose one’s heart on one’s sleeve, with no fear of harsh judgment or comparative scoring. 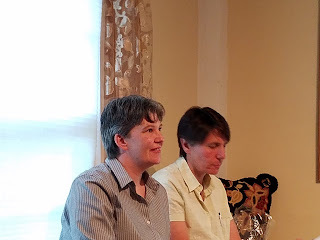 The organizers had succeeded in creating the perfect environment for everyone to just sit back and appreciate the shared humanity, in a safe, comfortable, encouraging setting. Into such a warm and welcoming environment, after dinner and a welcome from Alison Tocci, an introduction and reading by Doug Holder, came the first poet, called up to the stage to read. The poets were women and men, students, housewives, everyday people, young and old, ranging in age from not-yet-eighteen to over eighty. And each one had a part of their soul to share, just five minutes, but pure essence, fire from their heart, observations on everything, death, beauty, hope, light, darkness, regret, capturing just a moment, like a fly in amber, or a crystal inside a geode. Each poet was a surprise. 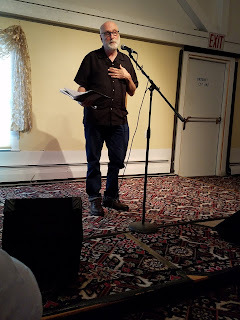 It was like Christmas morning, each poem getting unwrapped by a nervous elf standing at the microphone, notebook in hand, voice sometimes quivering, and sometimes bold, thundering loud, vibrating right off the rafters, just about knocking me off my chair. 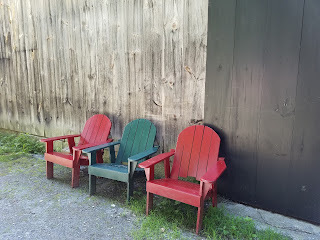 There was the teenager’s poem about people’s inability to unplug and connect, the hair stylist who saw the glimpse of something special in one of her clients, and perhaps my favorite, the apple orchard worker, reflecting on the death of a friend, and sharing his appreciation for the pure beauty of the orchards in spring. It was like sitting back with a bag of Bertie Bott’s Every Flavour Jelly Beans. Just looking at the exterior, no way to know what would be inside, each one a sacred mystery, a god and poet, a burst of unexpected flavors, unfolding and exploding, like a firework, lighting up the night sky, giving some light within the darkness. Get your tickets now – the next poetry night at the Bull Run is Saturday, October 7th! The difference is that the Favorite Poem Project is about reading poems written by others, and not original works, which in a way, by focusing on the work of others, denies or at least downplays the possibility that we, too, might be poets, and instead implies that poetry is written only by special people. Or, maybe they were just sidestepping any copyright issues. See and believe in the god and poet in one another! Later in July, we dropped by Thoreau Farm for a little tour. In the backyard, they have added a replica of his cabin in the woods. It looks like something you could pick up at the Home Depot garden center. Our tour guide tells us, while Henry David Thoreau has been characterized as a loner, he was really far more social than we give him credit. In his cabin, he had three chairs: one for solitude, one for friendship, and one for society. Three chairs at a friend's house (not Thoreau's cabin). Maybe that’s just another way to say three’s a crowd! It sounds like he actually really enjoyed entertaining guests at his cabin. These one-on-one-on-one interactions form the very threads of the fabric of society. It really is more about our society than any one individual, even President Donald Trump. Once again, Trump is simply a reflection of our society, a symptom of the underlying disease. 1. The real problem is the society that President Trump reflects. 2. All the chaos is a dangerous distraction. And now we are witnessing day-to-day brinksmanship, and serious discussion about the potential for nuclear war. I thought all of this had been put to rest years ago in the movie War Games. Maybe some folks missed the show. We need to all get along. 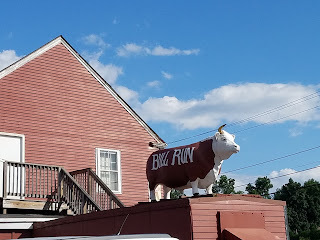 In a certain twist of irony, the Bull Run sits in Shirley, a town abandoned by the closure of Fort Devens, which originally opened one hundred years ago in 1917, as Camp Devens for training soldiers before they were sent off to fight in World War I. One hundred years of fighting wars, and what have we learned? · October 7, 2017: Poetry night at the Bull Run in Shirley, MA. Please be sure to reserve your ticket, and e-mail the organizers if you’d like to read your poetry. Guest speaker will be Emily Pineau. Again, it is not a slam, but instead a simple sharing of humanity. Sometimes we need both poetry & bread! I might put all the radio show links together, in sequence, in a future post, so that readers/listeners can find them a little more easily and listen to the shows in order. Together, the six radio shows document this highly unusual time in our country’s history. We are taking a little break from the radio show over the summer, but we plan to be back on the air soon. I’ll continue to post blogs as topics come up. Maybe we’ll even talk about something other than politics this fall, such as matters pertaining to public health: health insurance and the Affordable Health Care Act, concussions, stress, water quality, antibiotics, the microbiome, nutritional supplements, and diet. Anderson, Leslie. 2017. Concord prepares to celebrate Thoreau’s 200th Birthday. Boston Globe. July 9, 2017. Feurer, Alan. 2017. Justice Department says rights law doesn’t protect gays. The New York Times. July 27, 2017. Sobey, Rick. 2017. In Concord, a Thoreau-ly historical birthday bash. Lowell Sun. July 13, 2017. Ueland, Brenda. 1938. (The Estate of Brenda Ueland. 1987) If You Want to Write: A Book About Art, Independence and Spirit. Graywolf Press: Minneapolis, MN. Wickersham, Joan. 2017. ‘Poetry is a basic human pleasure.’ Boston Globe. July 28, 2017.